Enjoy spending time at your cottage and let us worry about the pests!.. Muskoka Pest Control was founded in 2002 by Mark Sampson. With almost 25 years in the industry, Mark brings a wide scope of experience and knowledge to both his customers and staff. Mark holds several licenses and has previously sat on the board of directors of the SPMAO both as a director and vice president. He is also a registered examiner through the PIC (Pesticide Industry Council). He also has background experience in business management, marketing, sales, computer science, health and safety as well as hospitality and restaurant management. He is an accomplished musician and artist and has performed throughout Canada, the U.S. and the Caribbean. He also provides mentorship and training to new business owners through various community programs. 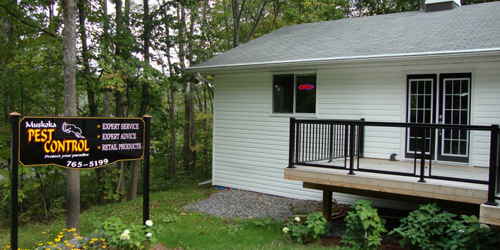 Muskoka Pest Control is Government licensed and fully Insured. We are members in good standing of the SPMAO, CPMA, NPMA and CNLA. We provide service for homes and cottages as well as maintenance programs for restaurants, grocery stores, golf courses, resorts, hospitals, nursing homes, commercial and industrial facilities to name but a few. Whatever the situation, we have a program to help keep you pest free. Based in Port Carling, ON, we are able to provide quick and effective service AND possess an extensive knowledge of the types of pests and structures that are found in Central Ontario. Located right in the heart of Muskoka, with local technicians throughout central Ontario, we are able to give you quick service when you need it. Guaranteed! Call us now for a consultation and put our knowledge and experience to work for you! When you have a problem with pests, you want solutions fast. 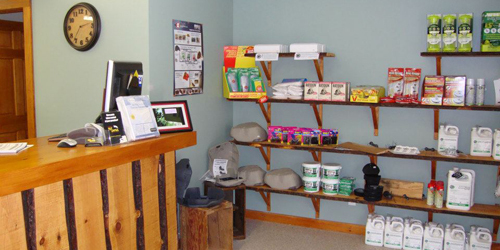 Quick, expert service has once again earned Muskoka Pest Control the title of Muskoka’s Best, and with a new retail location, customers can now get the right advice and the right product to solve all their pest control problems. Sampson is a licensed exterminator with almost 25 years’ experience in the pest control business and said the pest control business has changed over the years. Muskoka Pest Control provides full service and products for your home or cottage to rid your property of carpenter ants, bedbugs, mice, wasps, hornets, spiders, earwigs, cockroaches, flies and fleas. Bedbugs have received a lot of press lately, and Muskoka Pest Control has been called in to deal with bedbug infestations at cottages in the Muskoka area. However, Sampson said the main pest he deals with is carpenter ants. “Carpenter ants are a big problem because they potentially cause a lot of damage and people want to protect their investment,” said Sampson, who also offers preventative maintenance, such as construction pre-treatments and wood preservation. The Cottage Care Program is regular pest control maintenance popular with many home and cottage owners. It includes spring and fall maintenance of pests with any between-visit pest problems taken care of at no charge. Complete, regular service for restaurants, hotels, apartments, retail buildings, industries, warehouses, offices and nursing homes is also offered. Plus, a full line of air fresheners and odour control systems are available and the multi-use Konk systems can keep washrooms smelling clean and fresh or keep flying insects at bay.